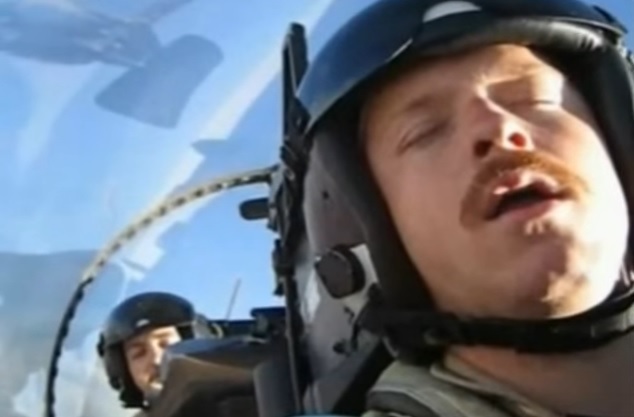 Taken during the F-14 Tomcat’s last cruise, the cool, funny video in this article gives you tha chance to join VF-31 Tomcatters aircrews aboard their F-14Ds as they perform a 7-hour mission in the skies over Mosul, Iraq, in support of Operation Iraqi Freedom (OIF). 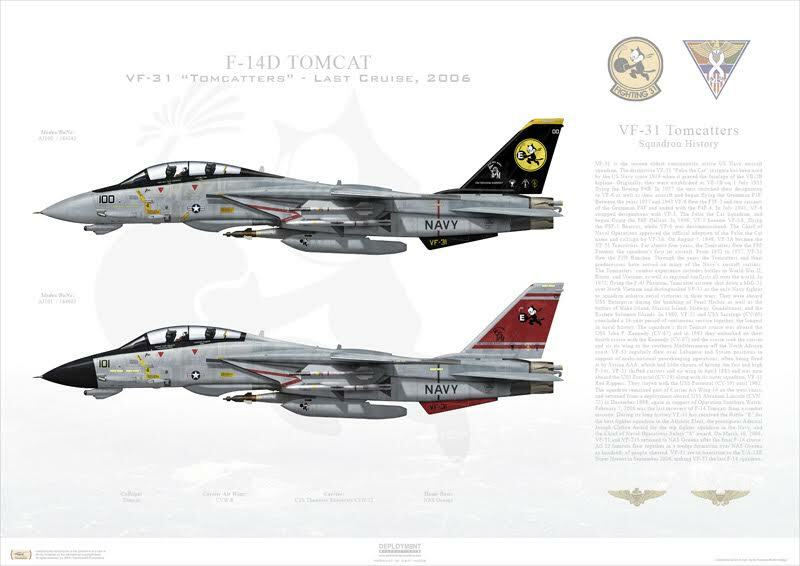 Noteworthy the “last cruise” of the iconic Tomcat saw the F-14Ds belonging to VF-31, the Tomcatters, and VF-213, the Black Lions, embarking aboard USS Theodore Roosevelt (CVN 71) aircraft carrier for a Med/Gulf Deployment (which lasted from Sep. 1, 2005 to Mar. 11, 2006) in support of OIR. On Dec. 10, 2005, the F-14Ds of VF-31 and VF-213 were upgraded with ROVER (Remotely Operated Video Enhanced Receiver) III downlink for transmitting images to ground Forward Air Controllers (FAC). As we have previously reported, the last combat mission performed by a U.S. Navy Tomcat was completed on Feb. 8, 2006 by then-Capt. William G. Sizemore II, commander, Carrier Air Wing (CVW) 8, flying VF-213 Black Lions F-14D wearing “modex 204.” Then-Lt. Bill Frank, a VF-31 Tomcatters pilot, also took part in the last mission, and is credited with being the last pilot to ever drop a bomb from an F-14 Tomcat. During their final deployment with the USS Theodore Roosevelt, VF-31 and VF-213 collectively completed 1,163 combat sorties totaling 6,876 flight hours, and dropped 9,500 lb (4,300 kg) of ordnance during reconnaissance, surveillance, and close air support (CAS) missions. The USS Theodore Roosevelt launched an F-14D, of VF-31, for the last time on Jul. 28, 2006. The last two F-14 squadrons, the VF-31 Tomcatters, and the VF-213 Black Lions conducted their last fly-in at Naval Air Station (NAS) Oceana on Mar. 10, 2006.